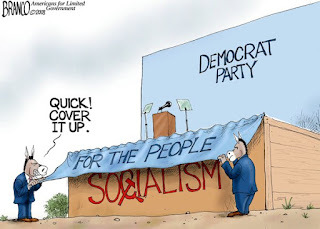 There was a time not too long ago when the Democratic Party was more subtle in their wording. You had to read between the lines a bit more to understand their code words. Words and phrases like "for the people", "a working wage", and "a fair shake for all" were more nuanced ways to ultimately candy coat their socialist ideas and platform. But that was before Donald Trump came along. Hard to say what is more frightening and disconcerting. The fact that Democrats like Hillary Clinton lied for so many years when they said they wanted abortion to be safe, legal, and rare or that they feel so free and open now they don't have to lie anymore. What is not up for argument is that over the last several days and weeks that veil is now completely gone.